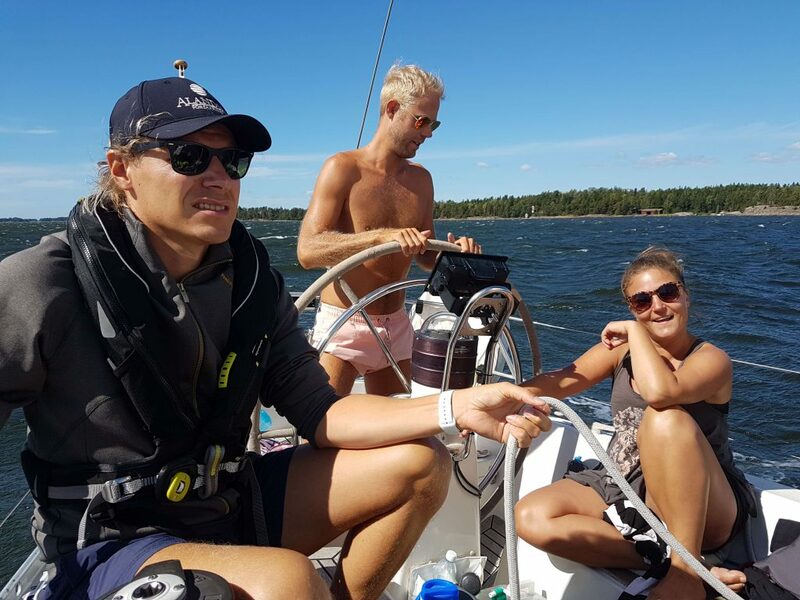 I’ve never been a keen sailor but this sailing trip from Hanko to the Helsinki archipelago changed everything. 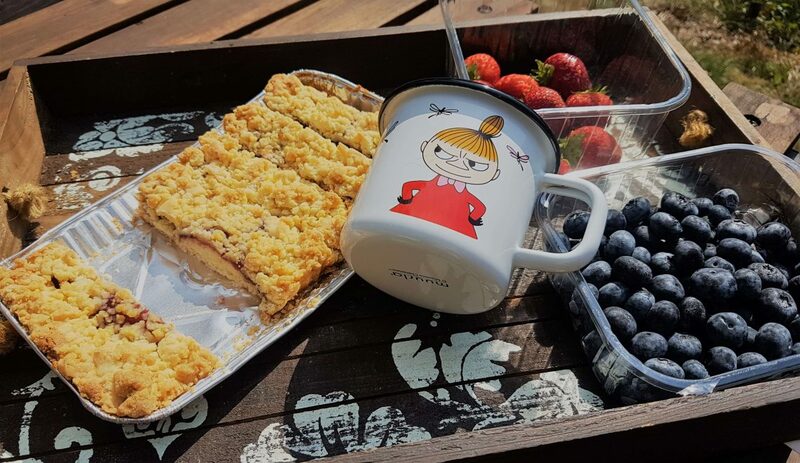 Actually, it was just a few months back when I fell in love with the Finnish archipelago in general, when we visited the beautiful island of Aspö and relaxed at one of its summer cottages. I took a train with my friend to Hanko which is the southernmost city in Finland. We met our friends and our beautiful Swan sailing boat there which was to provide a berth for us in the upcoming days. We visited 3 marinas of which 2 were islands, in addition to Hanko which was a new place to me. 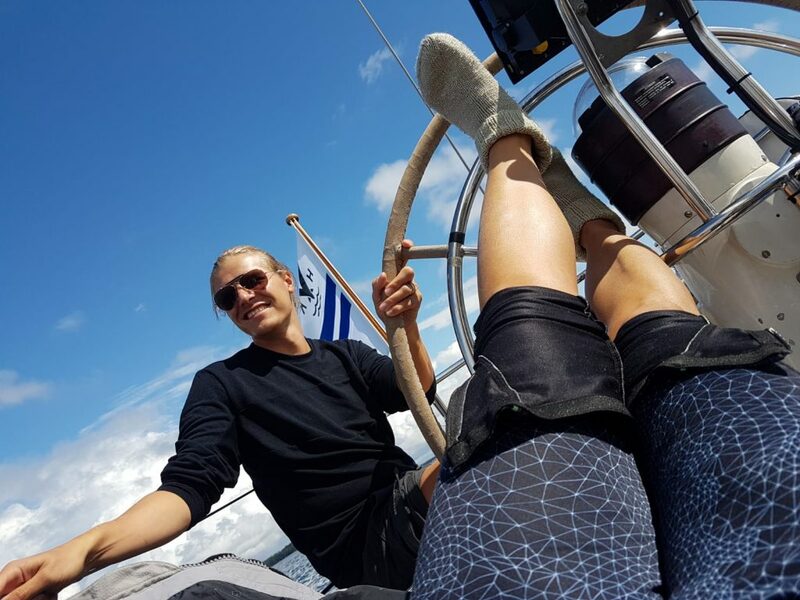 Step on board to learn about this magical sailing trip in the Baltic Sea. 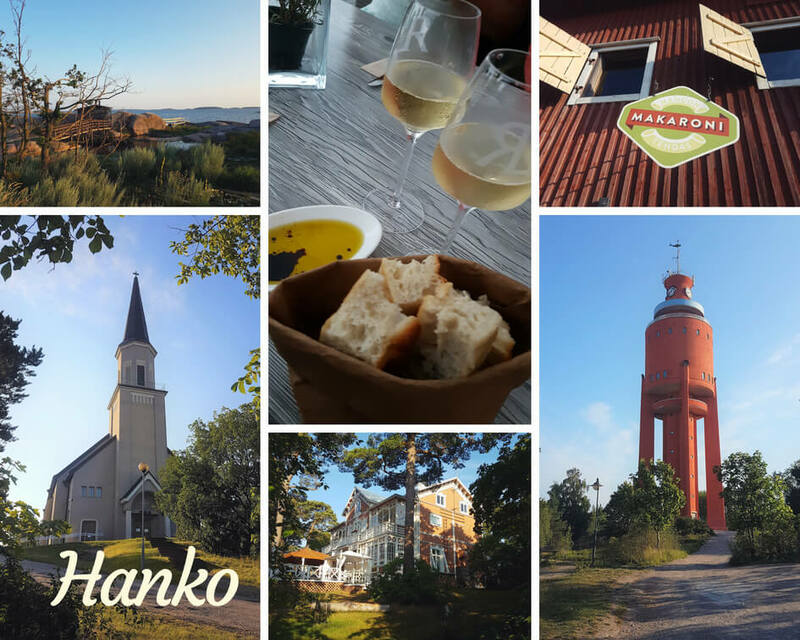 Hanko is an equivalent of the Hamptons or Brighton pretty much. A sunny city which attracts the crowds in the summer time. It is known for its achingly beautiful old wooden villas, a busy marina, beaches, and summer fun. 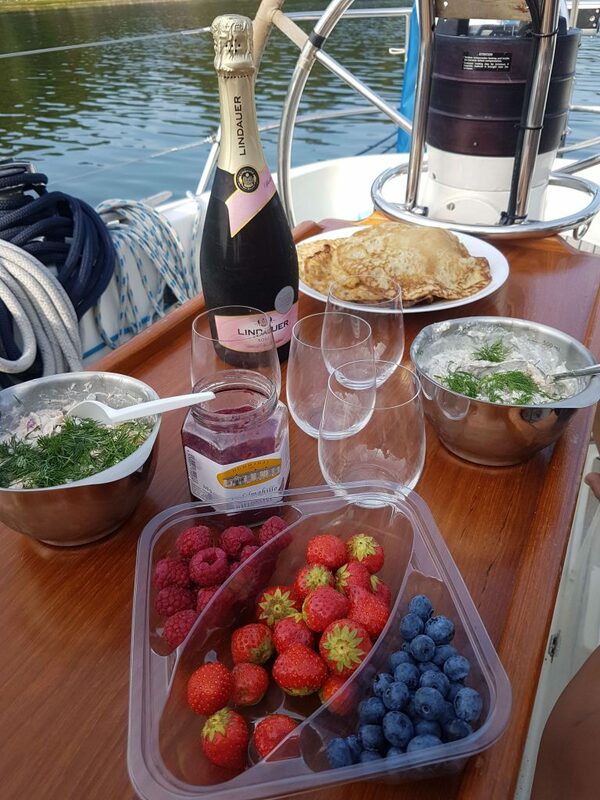 We arrived in the afternoon and stock up massively before heading to the sauna at the marina which was in a beautiful location, on the cliffs. There was no need to rush so we really took our time, and cooled down at the terrace, sipping our ciders before getting ready for the supper. Hanko has a row of nice restaurants at the seaside. We chose Makaronitehdas (Macaroni Factory) for its beautiful pastas and the pleasant patio. Everybody was really pleased with their portions but perhaps even better was the bread. OMG, divine, dipped in olive oil and balsamic vinegar. Our host was also kind enough to get us some sparkling wine so we toasted to this magnificent voyage with anticipation and elation. Next morning I woke up early because I wanted to have a good look at the town and its unique villas. And they did not disappoint me. I only wish I had had more time and, to be honest, I was gutted since couldn’t get good pictures because the sun wasn’t up yet and the lighting was crappy. Moanings of a travel blogger, haha. This quirky island used to be a lively place with a mine and hundreds of workers living here. The mining period was from 1814 until 1967 though it wasn’t operating continuously. 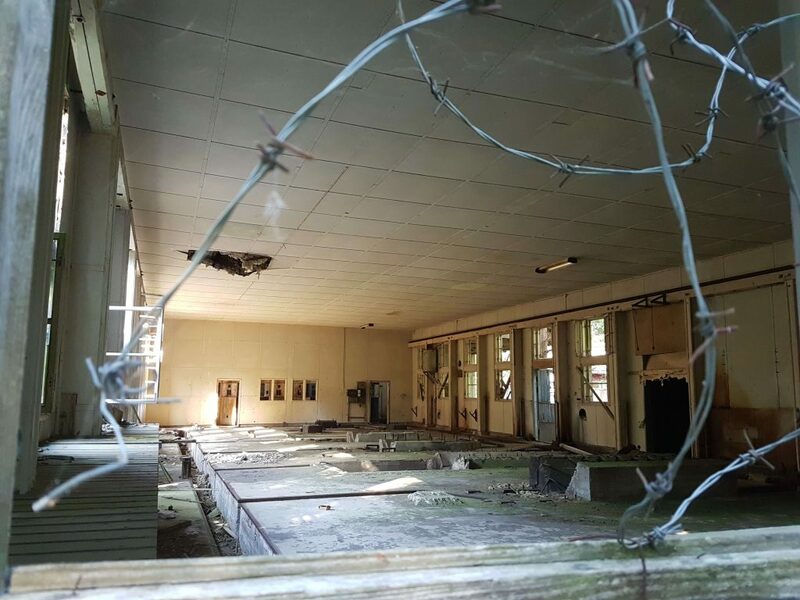 Moreover, it was in military use during the 20th century which becomes quite apparent when you look into some of the buildings and see gun-holes, barbed wire etc. On the whole, Jussarö has quite a few derelict buildings from that time which makes it a very interesting site for urban exploring. 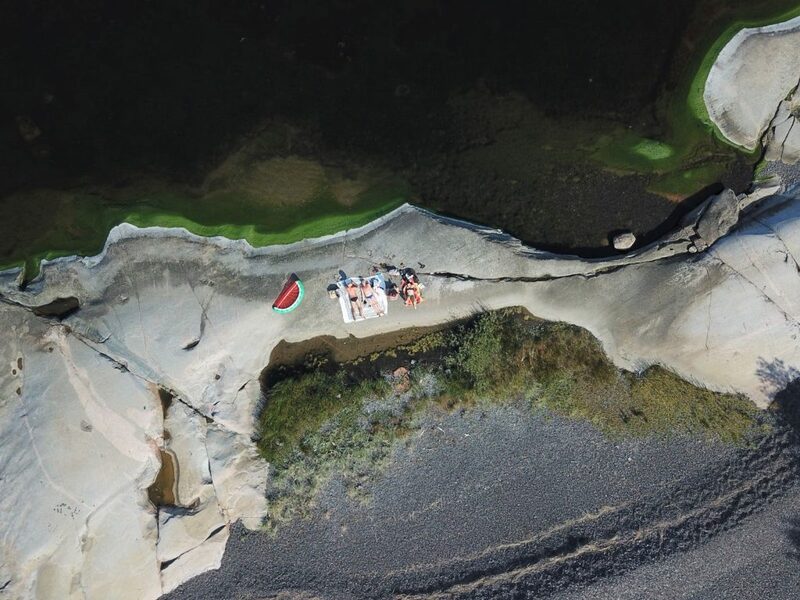 Furthermore, it is known for its black beach which is pretty much unheard of in Finland. The colour derives from iron ore and the anecdote tells that there have been many shipwrecks in the past because the iron ore messed up compasses and hence, navigation. 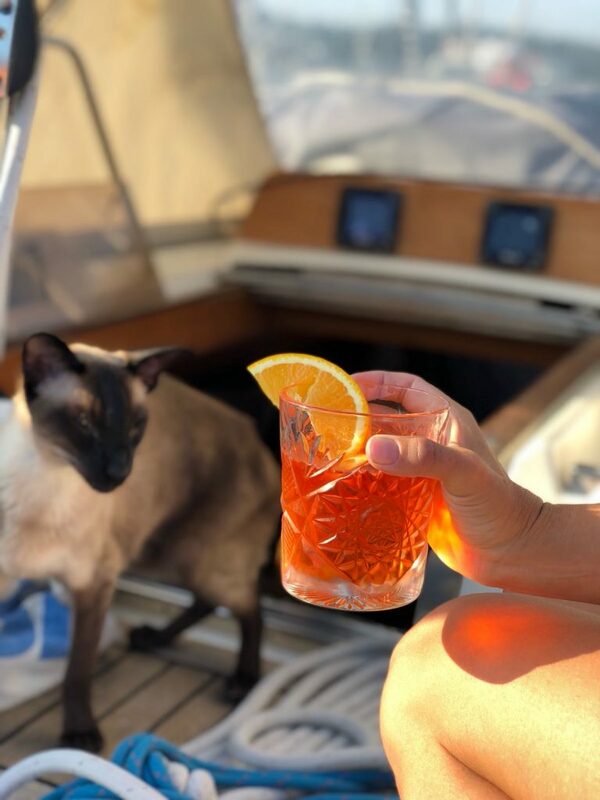 Aperol afternoon cocktail time with Teppo, the Siamese cat in the background. Photo credits go to Henri Karvonen again. This little and nearly deserted island stole my heart. There were only 2 other boats and none of them wanted to use the sauna so we got it all to ourselves. It was a very basic sauna and there was no fresh water so we needed to carry some from the boat and use it sparingly. Luckily the Baltic Sea is brackish water so it is not as bad if you don’t have a shower afterward. Anyway, we completely took advantage of the situation, taking our time swimming and warming up in the sauna. In between the rounds we released our inner nudists and spent some time being naked while drinking our ciders and enjoying the views. 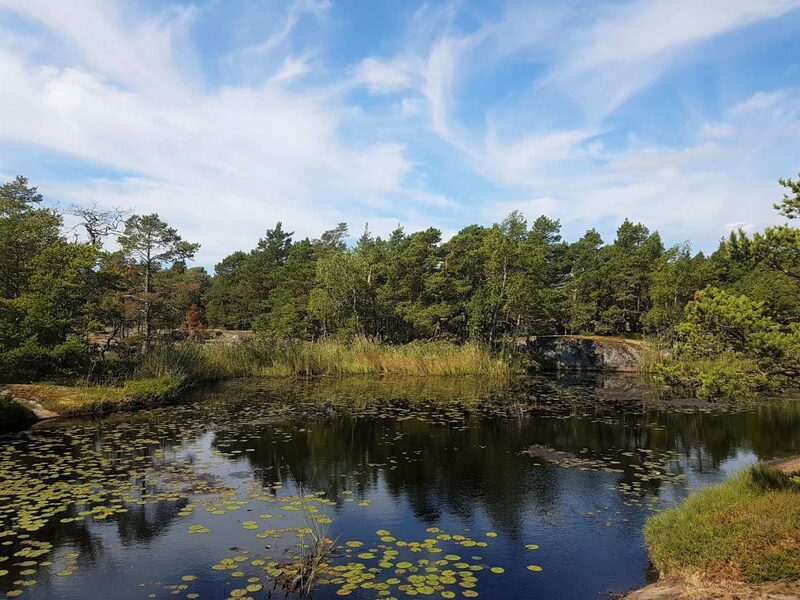 Andö has magnificent cliffs by the way, and a beautiful pond, so perfect for taking some Insta worthy shots. Unfortunately, the bad news is that you need to be a member of the boat club (or the owners of the boat, to be more precise) to experience the beauty of Andö. The next morning, I and Henri managed to get up early and we did some meditation while listening to the waves and after that, we did some Astanga yoga. It was so nice having a dip in the sea after the practice. See the beauty and appreciate everything you have in life. In yoga, we talk about santosha which means the same as being content. This is what I truly felt. This was the last stop before Helsinki. It felt very developed after Andö even though it wasn’t that big. But it had tap water, a small shop, a cafe, and 2 restaurants. So it felt very much ‘back into civilisation’ after the previous marina which was actually just a dock. I woke up in the morning again because there was a natural park very close to the pier. I had visited it the previous night during sunset and wow, it was so beautiful (again). So even though there wasn’t that much to see here, it was an ok place for a stop before our next destination, Helsinki. I think that Teppo the Siamese cat started getting anxious about getting home at this point. 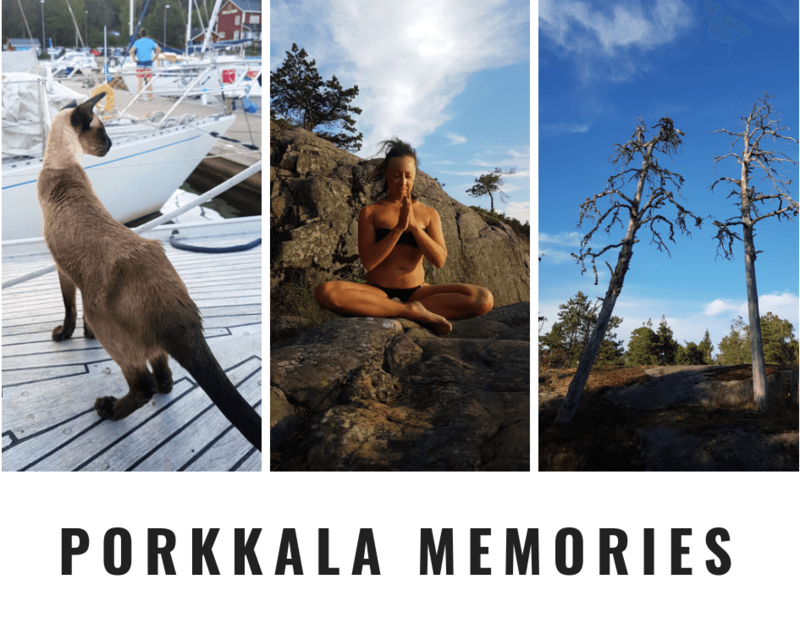 He is a very amiable and easygoing cat – and apparently likes sailing as well – but in Porkkala he clearly wanted to get off the boat for a change, as you can see in the picture above. Helsinki Archipelago – How to Do It? While some of these locations are reachable even without your own sailing boat, Andö is not. Moreover, bear in mind that the charters usually run throughout the summer but not outside the main tourist season. 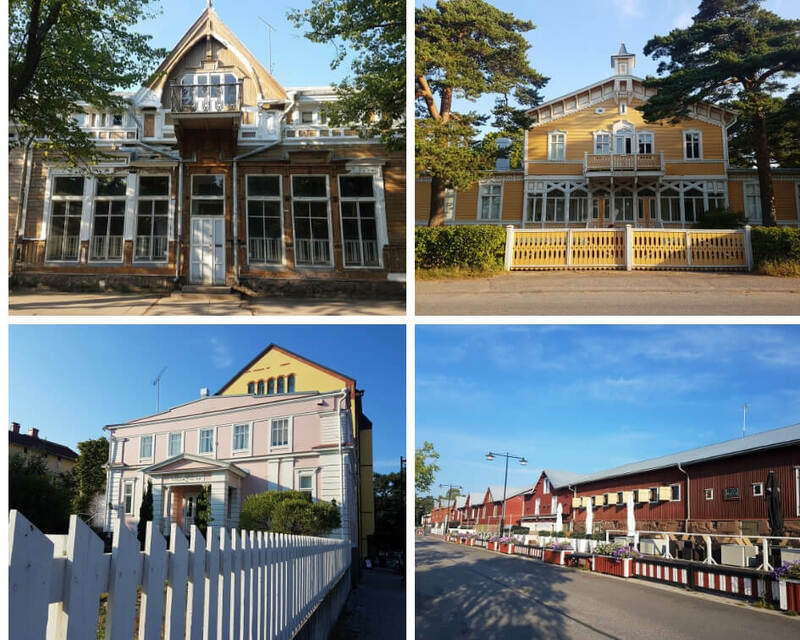 Hanko, then again, is super easy to visit from Helsinki as the trains run regularly. All the info about the Finnish railways, called VR for short, can be found here. That means that you don’t even need a boat to experience this beautiful town. They have many lovely B&B:s and hotels to guarantee you a lovely stay. 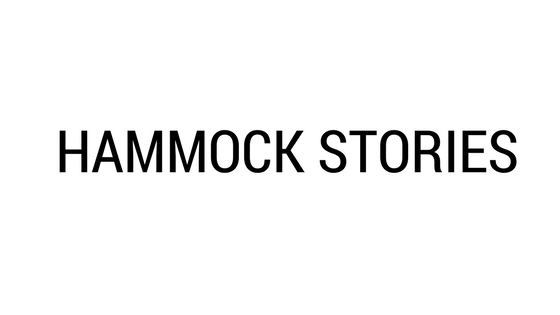 More info on https://tourism.hanko.fi/en/. 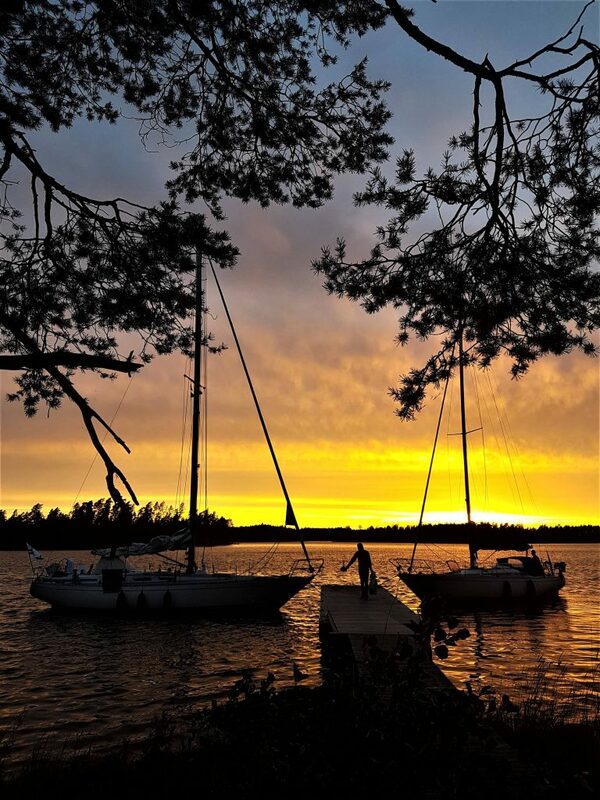 Jussarö has charter boats going in summer and you can check the timetable by clicking this. Porkkala has the beautiful natural park and nature trails but I don’t think there is much else to see, unfortunately. 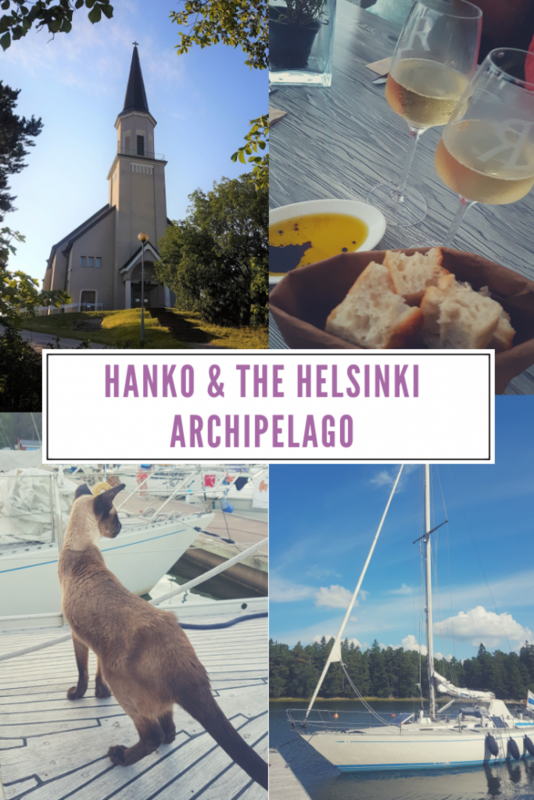 So this was it, my dreamy sailing trip from Hanko to all the way to the Helsinki archipelago. I would like to thank my lovely friends, Henri, Aleksi and Riikka for their company, and also for making this little getaway possible. Couldn’t have wished for a better holiday. For tips on what to do in Helsinki, check out 25 Free things to do in Helsinki. 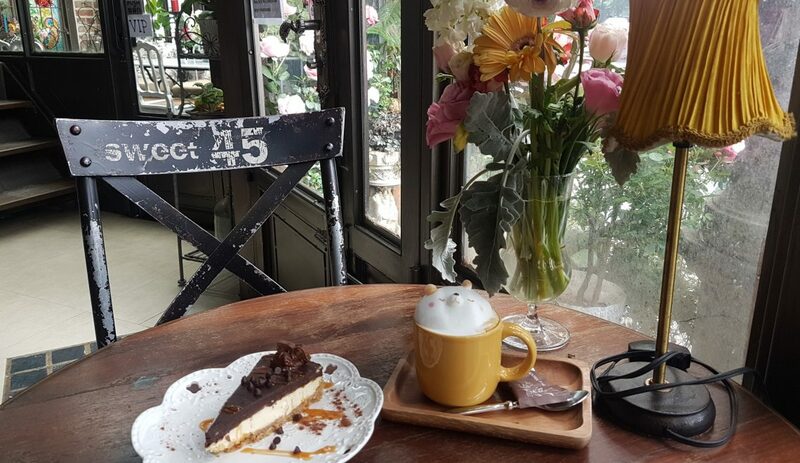 And if you have a sweet tooth, this post about The best cafes in Helsinki might become handy. 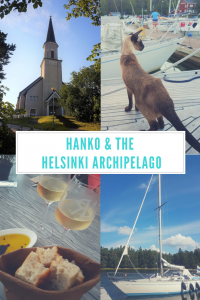 What a pleasure reading about your trip through the Helsinki archipelago. I would particularly love to get to Aspo and Hanko. Are they near each other? This honestly sounds like a dream. I especially love the siamese cat you met along the way! It was a dream-alike trip! Teppo the cat was travelling with us the whole time! What a cat! Yeah, the archipelago here is super beautiful. Also in the lake area of Finland because we have thousands of lakes! What a great idea. 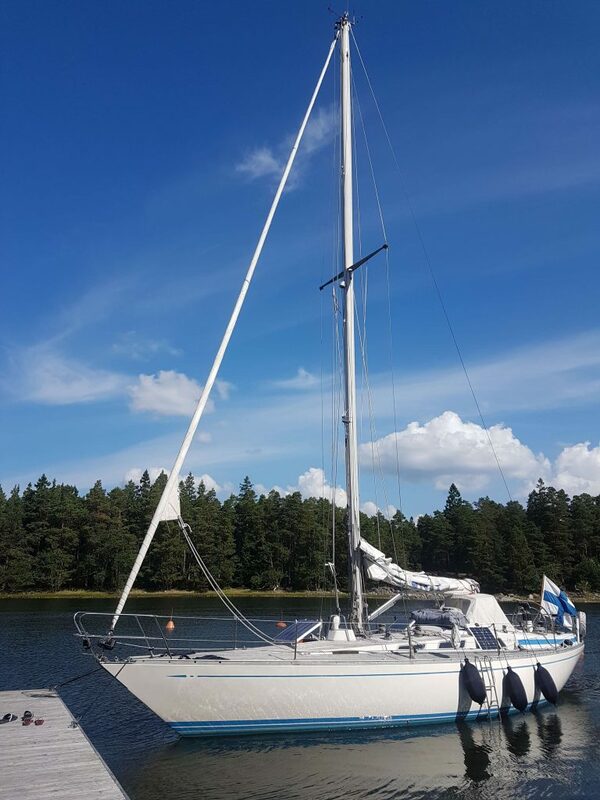 I never thought about sailing in Finland. 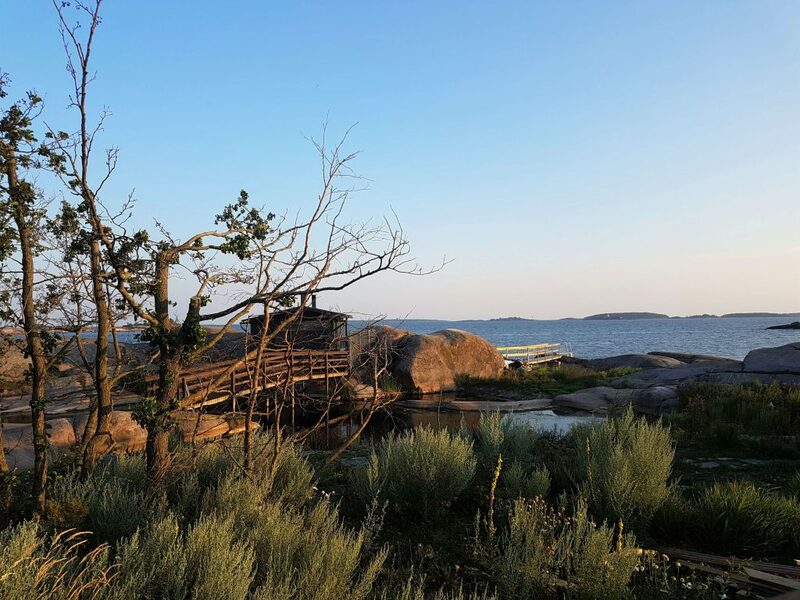 Hanko, in particular, looks very nice. 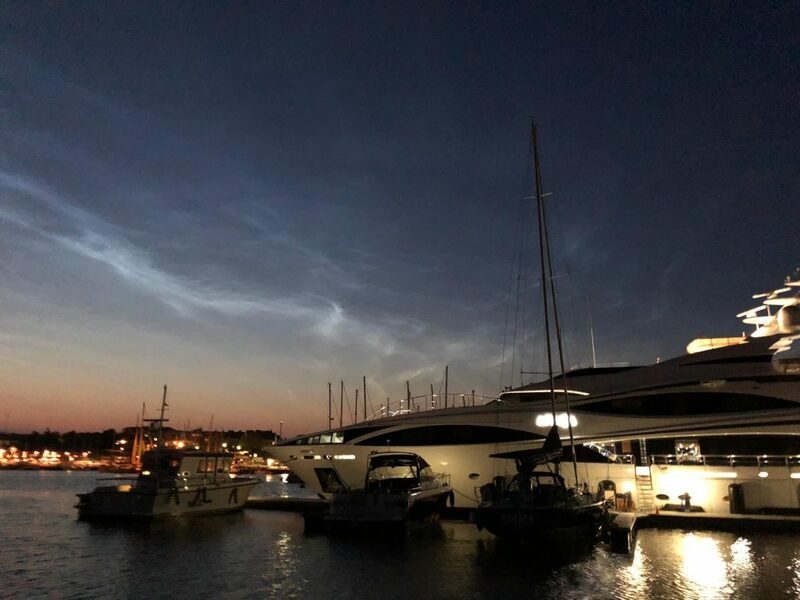 Amazing … we really want to explore the Helsinki archipelago. This looks so relaxing! Beautiful scenery and lovely post! Wow, it is a very beautiful place. I hope I can have the opportunity to visit one day. Me too, Henry! Glad you liked it!